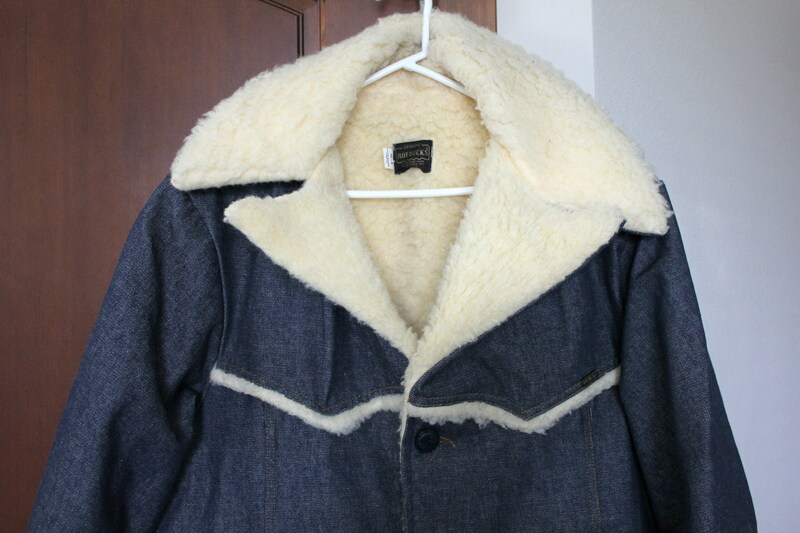 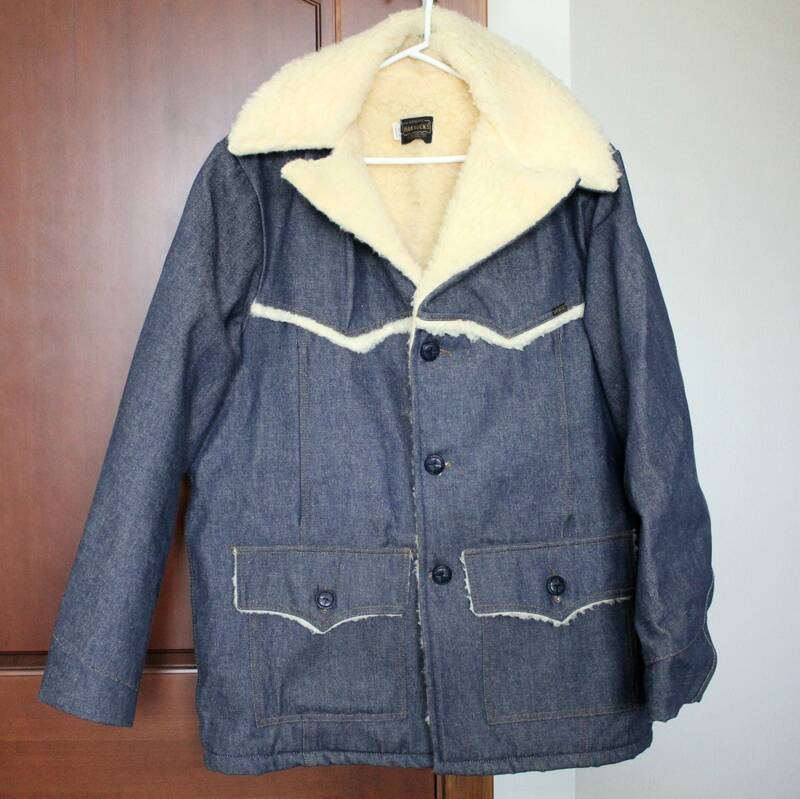 A nice vintage Sears Roebucks jean jacket coat in a men's size 46R. 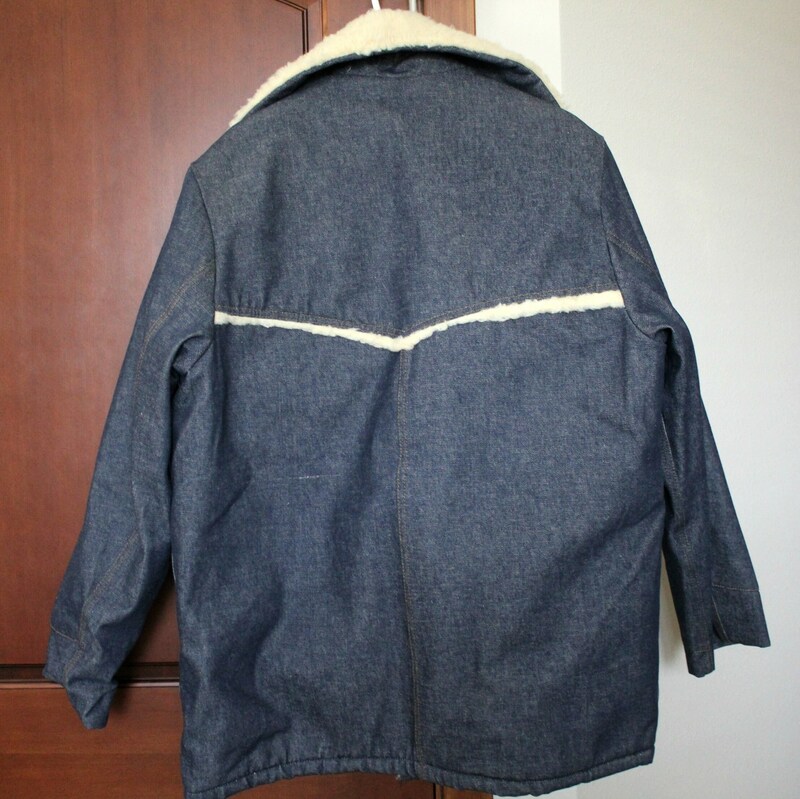 Denim outer with sherpa lining and longer length for warmth. 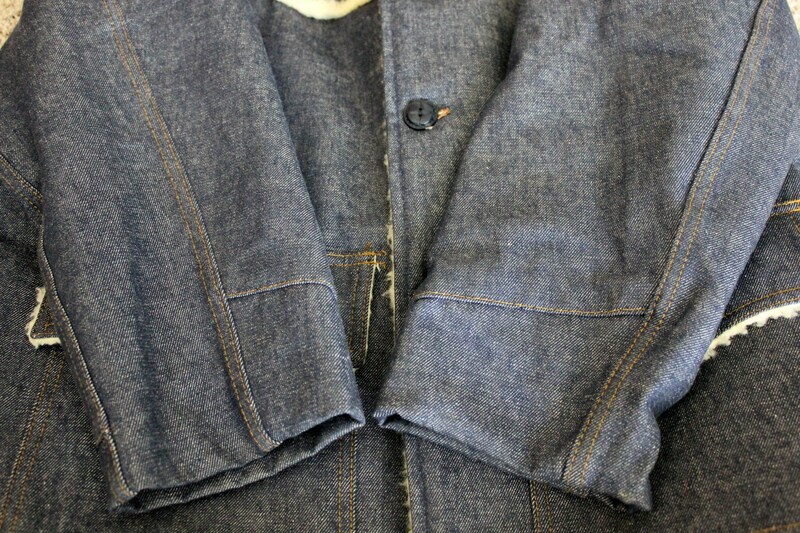 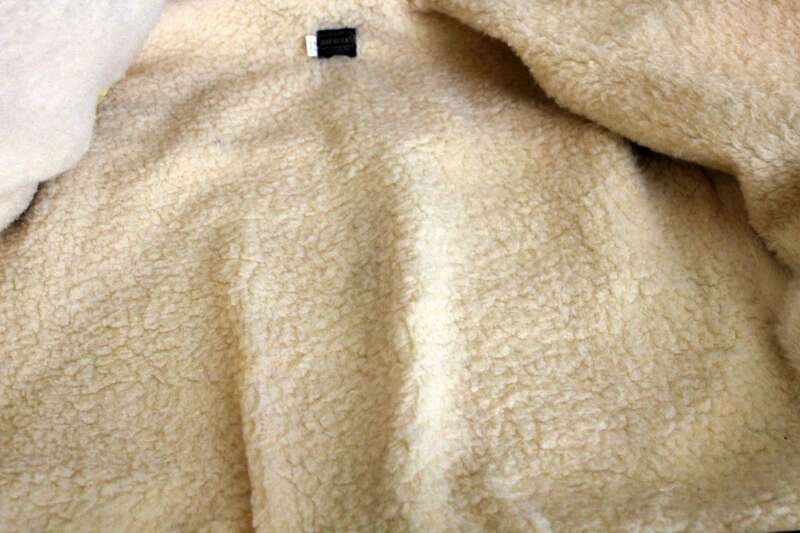 Button front closure with two flap button pockets. 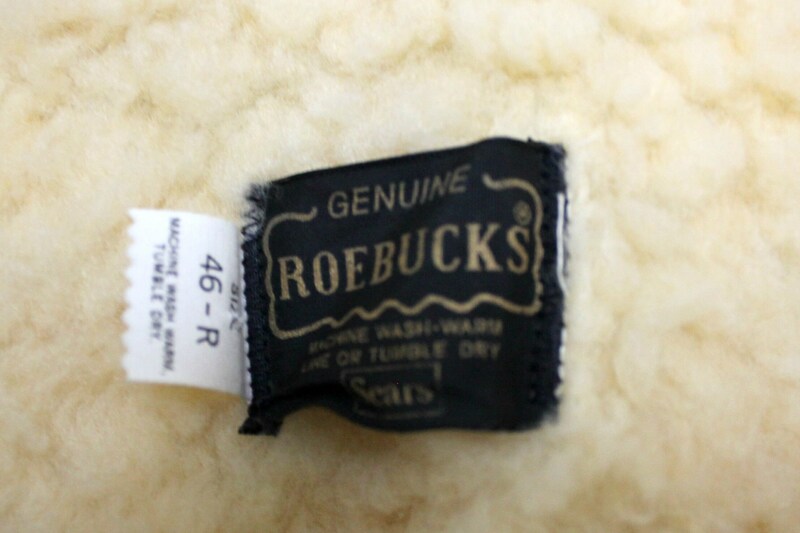 Armpit to armpit - 26"
Length from back base of neck to bottom - 32.5"
Condition: Coat looks to be in very nice, nearly new shape. 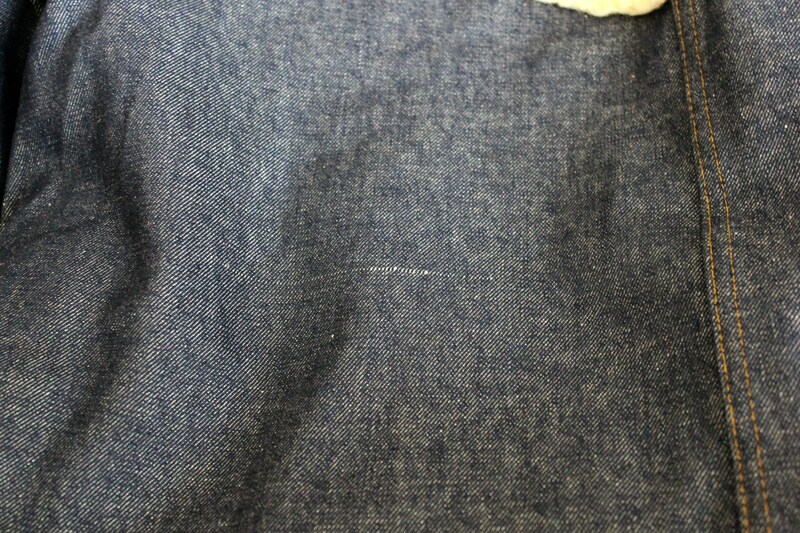 There is one mark in the denim on the back that may or may not have been there when it was purchased.